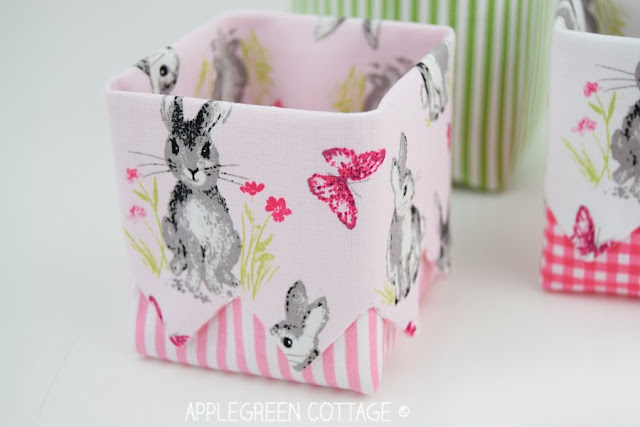 Make your own diy Easter baskets with pretty bunnies and flowers. An easy and quick, but super cute sewing project! 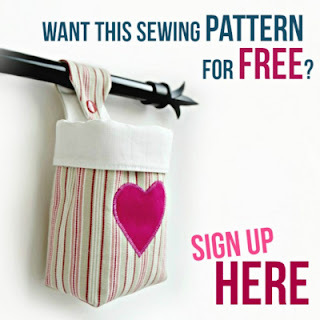 Find out more about this little crafty project - and an exclusive pattern bundle available just this week! 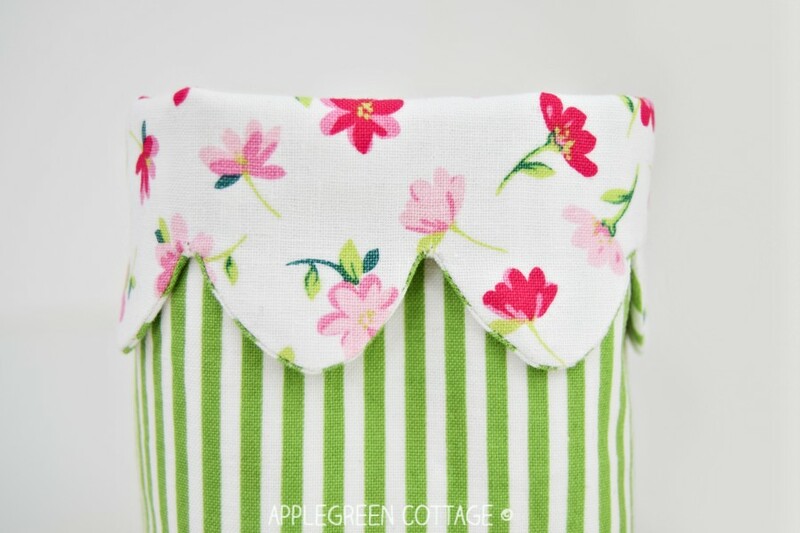 I think I'm obsessed with easy sewing projects. Tell me I'm not the only one! I've been making easy projects since Christmas and I enjoy the creative flow so much I think I could go on like this forever. 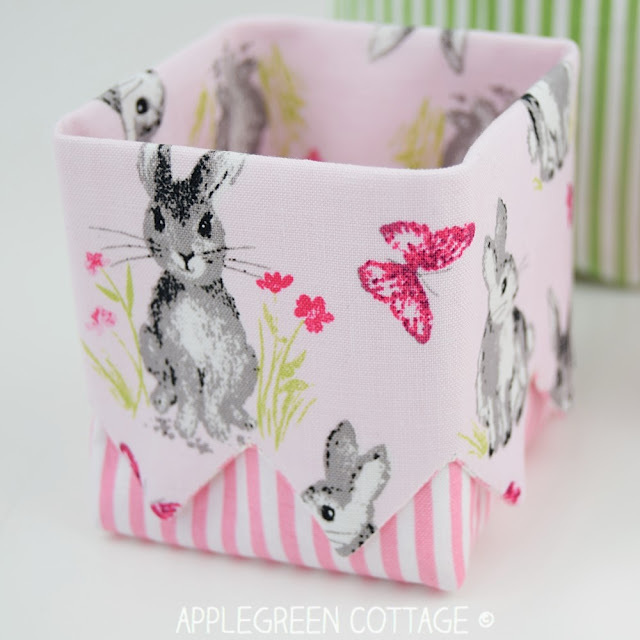 This time, it's all about pretty bunnies and flowers. Hello, early spring! Little crafty projects are so much fun! 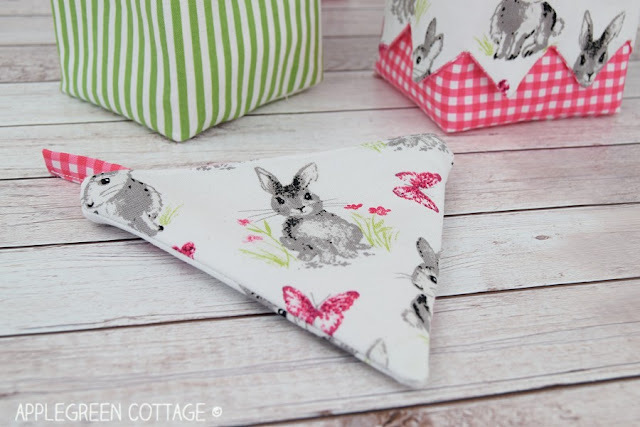 Join the fun using these gorgeous fabric prints from Riley Blake Designs and a few of 'Easter-perfect' patterns - scroll down to see what I have in mind! 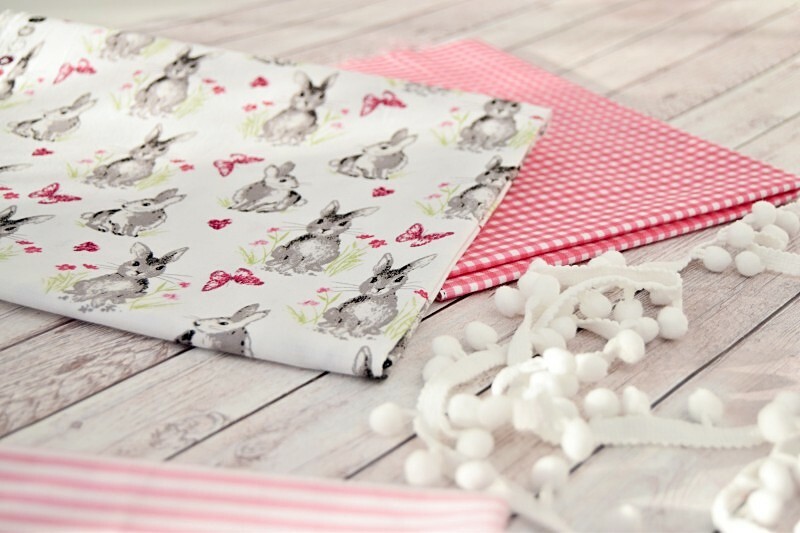 Aren't these bunny prints gorgeous? This pretty fabric comes from Riley Blake Designs and is part of their Novelty of the Month Collection. I love how soft and gentle it feels. When I saw the collection, I knew instantly I wanted to make something with the pastel bunnies. They looked so inviting, spring-like with the tiny hearts and butterflies - and perfect for fussy cutting, too! 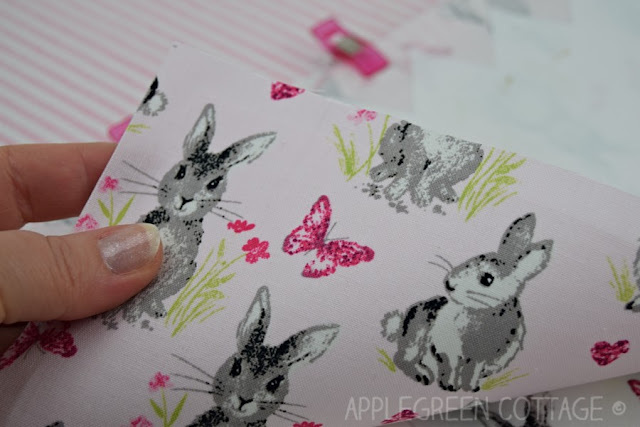 Fabric used: Pretty Bunnies and Flowers from the Novelty of the Month by Riley Blake Designs. This week only, these 3 patterns are available as a pattern bundle here in my shop. 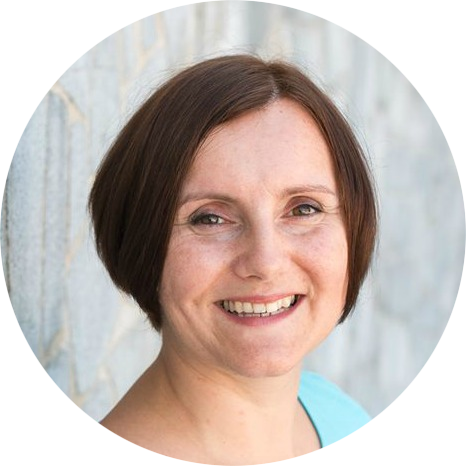 I'd love for you to come over and take a look, help yourself to a few freebies while you're there - and let me know what you think! I wanted the scalloped top to be folded down, so I used the floral print as lining. I loved the grass-green Stripes from Riley Blake Designs Basics collection. Like pretty little stems for the flowers. 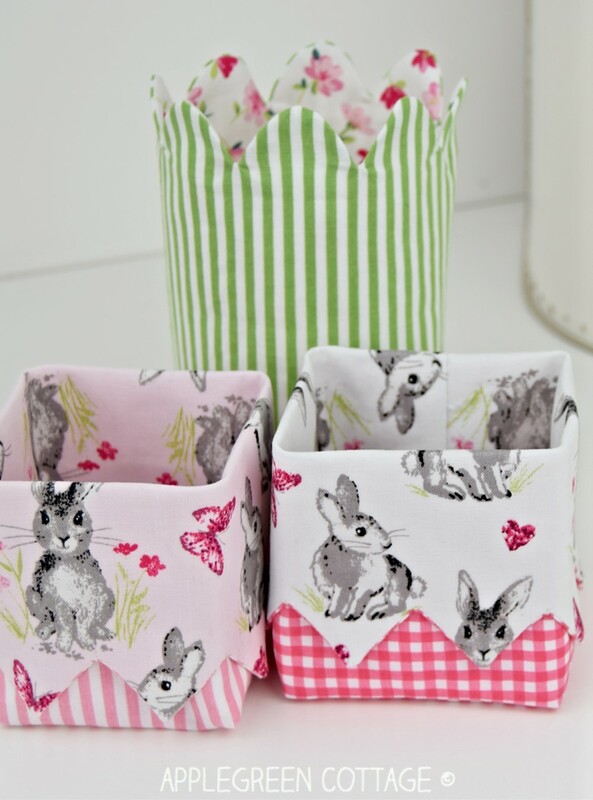 Want to make these cute little Easter baskets yourself? 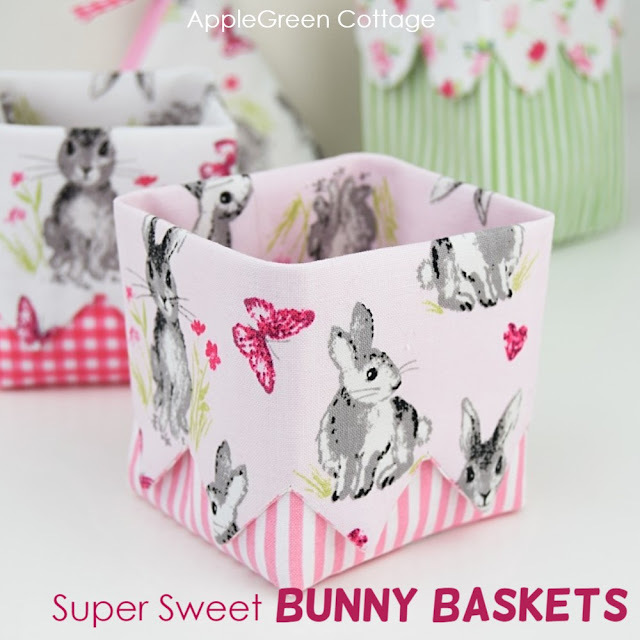 Here are two things to consider when using a directional print for a basket like the ones with the bunnies. First, use the main print as lining layer. Second: cut the prints upside-down. No really, trust me. Align those cute little bunnies so they are facing upside down when cutting the fabric. That's because they will be placed on the inside, and then you'll want to fold that bunting top down. See? Also, I added stronger interfacing to the lining layer, because it's the lining that will show when the top is folded over. But that's just a personal preference. 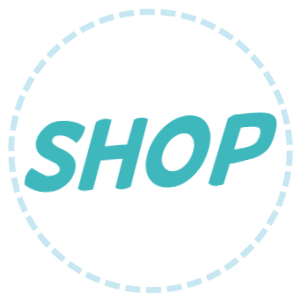 Feel free to use light interfacing on both outer and lining. 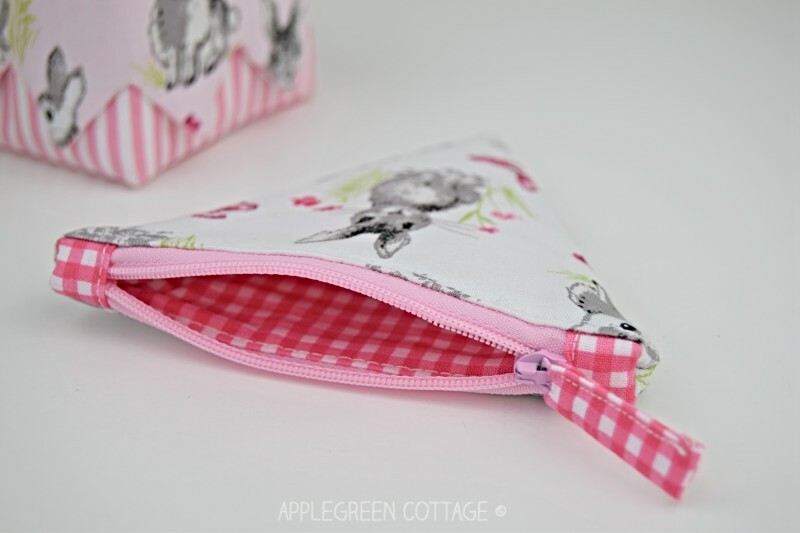 The little bunny print is so sweet I couldn't help myself but make an additional little coin purse, just for this occasion. Isn't it adorable? The dreamy, watercolor bunnies are the perfect size to center on the Tria coin purse. Speaking about watercolor bunnies, you simply must check out this gorgeous mini quilt Christopher at The Tattooed Quilter made from this collection. What a creative way to use the bunny panel! Thank you for stopping by. Get the patterns here and the Pretty Bunny collection here, and make something cute! 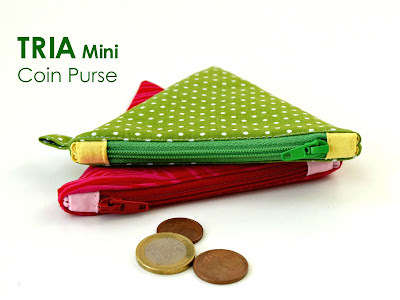 Or ... check out this little coin purse: a perfect DIY gift to make! More about this pattern HERE. I agree with you totally! I love the easy projects, it’s very therapeutic!! Love these new baskets!